Oldsmobile Etcetera Various Oldsmobile topics that don't necessarily fit anywhere else. Buy/Sell/Wanted ads for Oldsmobile vehicles and parts. Section for discussions regarding "Oldsmobile" in general. Not for model-specific discussions. Forum specifically intended for Oldsmobile appearance and detailing based discussions. Forum specifically intended for Oldsmobile infotainment and security system based discussions. 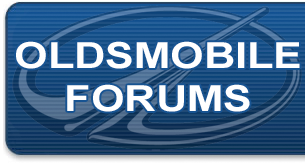 Forum specifically intended for Oldsmobile how to's and frequently asked questions. Reviews of all Oldsmobile models right here in one place.